After sharing my 7 lessons learned from traveling, I discovered another one I need to learn before my next conference: how to protect myself against wicked air-conditioning? The Los Angeles Convention Centre could have saved a bundle on its hydro bill by turning down the air-conditioning. By the second day of BlogWorld Expo, many people were coughing and sniffing. My scratchy throat told me what was coming next. Rather than Darrell and I spending our only â€œvacationâ€ day this year exploring Hollywood, I spent the day in bed. Disappointed? Yes, definitely. Regret? No, I donâ€™t think so. I was in no shape to go out. BlogWorld will be in LA for at least two years. We will try again next year; perhaps go down a day early and do Hollywood before the conference. Caleighâ€™s Corner: After much agonizing thought about what is best for their precious daughter at this time, Caleighâ€™s parents have opted for homeschooling. She marble painted pumpkins for Halloween. How fun! 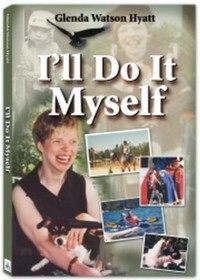 A Deaf Shares Her World: My friend Karen lost her hearing while barefoot waterskiing as a teen. Guess what she is doing nowâ€¦and she is rocking it! Feel free to share your favourite blogs in the comment section below. It’s great to hear that Caleigh is no longer at the mercy of the school system. I know it’s a lot of works that her parents had not intended, but I also know that Caleigh will now get a much better education and far more opportunity to develop her strengths. Following is a link to a somewhat related news story. It’s about a teenager abused by a teacher and an aide in one of our public schools. With early complaints, the administration “investigated,” charged that the teenager was lying, and defended their teacher and aide. Several hours of recordings from a hidden recorder told the real story. The special education aide is gone, but the teacher remains. Bob, thank you for sharing that link. I saw the story on our news. Unbelievable. The teacher should lose her license permanently. Will eight hours of anti-bullying training really change her ways?